A brand is a name, term, symbol, design or a combination of all these intended to identify a product or service of a seller or a group of sellers. The popularity of a company greatly depends upon the brand. It is an identity of the company and/or their products in the market. A successful brand can only be created through an efficient brand management system. Brand management is the process of identifying and managing marketing techniques for a particular service or product to increase its market value, and popularity among the customers. It also involves managing the tangible and intangible elements of a brand such as cost, customer satisfaction, in-store presentation and competition. 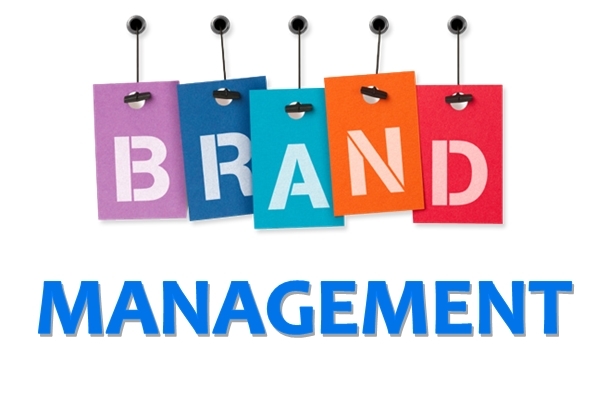 Brand management plays a broad and significant role in almost every business organization or a company. Most companies appoint a brand manager to manage and sustain their brands according to the market trends. A Brand Manager is a person who identifies a brand that will cater to consumers and work out marketing strategies to establish brands in the market. They plan, develop and direct the marketing efforts for a particular brand or product. Brand managers may deal with various kinds of brands in the market, such as premium brand, economy brand, fighting brand, corporate brand, family brand, individual brand, brand extension, private branding etc. and they should know. A premium Brand typically costs more than other products in the category. A fighting Brand is a low priced, low quality version of a main brand, created specifically to counter a competitive threat. When a company's name is used as a product Brand name, this is referred to as corporate Branding. When one Brand name is used for several related products, this is referred to as family Branding. When all company's products are given different Brand names, this is referred to as individual Branding. When a company uses the Brand equity associated with an existing Brand name to introduce a new product or product line, this is referred to as Brand leveraging. When large retailers buy products in bulk from manufacturers and put their own Brand name on them, this is called private Branding, store Brand, or private label. Private Brands can be differentiated from manufacturers' Brands (also referred to as national Brands). When two or more Brands work together to market their products, this is referred to as Co - Branding. When a company sells the rights to use a Brand name to another company for use on a non - competing product or in another geographical area, this is referred to as Brand Licensing. While applying a brand name to a product / service, brand managers are required to follow certain principles, like the name of the product should be simple to remember, easy to pronounce, highly recognizable and easily and accurately translated into all languages of the target consumer market. They should be aware of the latest trends in the market and must come up with ideas for new packaging designs, including shape, size, colors, fonts and imagery. A brand manager is responsible for developing new products according to the demands of the consumer. And for this they co-ordinate with various other sections and departments of production, research and development, advertising, sales, promotion, marketing research, purchasing, distribution, package development and finance etc. A brand manager should be able to present product's benefit as well as the company's image in the market and look superior as compared to other brands in the market. Now online brand management, known as e-branding is also becoming popular through social networking sites and blogs. Individuals aspiring to make a career in brand management must hold an MBA degree in Brand Management or Marketing Management. Graduates from any stream can pursue the 2 year MBA courses. Most institutes/ colleges admit students on the basis of the marks obtained in MAT (Management Admission Tests), CAT (Common Admission Tests), etc or through the specific admission tests conducting by the college/ institute. Lifestyle and Luxury Management Institute, Chandigarh offers 3 years B.A. Fashion Brand Management (Hons) program for those with 10+2. Graduates in any stream can join for Post Graduate diploma course in Brand Management offered by institutes like International Institute of Retail Management (IIRM)- New Delhi, Institute of Management Studies - Ghaziabad, etc. Some of the prominent institutes that provide courses in brand management are Indian School of Business Management New Delhi (ISBM), The International Institute of Retail Management (IIRM), Institute of Planning and Management (Delhi), Indian Institute of Management (IIMs), Symbiosis Institute of Management Studies (Pune), Xavier Institute of Management and Entrepreneurship (Bangalore), Indian Institute of Social Welfare and Business Management (Kolkata), MP Birla Institute of Management (Bangalore) etc. The main aim of the Brand Management course is to give students a fundamental understanding of how to build, measure and manage brands. The course imparts knowledge about principles of brand management, Market research, analysis of market trend, consumer demand, brand research, brand launch, USP (unique selling propositions of the particular brands), brand promotion, distribution, and packaging and marketing of a brand. The key to success for a Brand manager is practical thinking, and always being on the toes. A Brand manager should be result oriented, creative, energetic, organized and methodical. They should possess strong administrative, marketing, analytical, good presentation, communication and problem solving skills. A brand manager should be a good team leader, a good listener and must have the ability to manage different projects at the same time. A brand manager should have an instinctive feeling about future product concepts and should be enthusiastic about their product area. They must have the awareness about the principles of brand management that consist of various trademark laws. Brand Management is all about refining and presenting a particular product in such a way that it finds a permanent place in the consumer's mind. It is also about delivering various strategies and techniques necessary to sustain the product in the market. Brand managers are appointed for promoting and developing the products of a company. The Branding process begins with the evolution of a new product together with a comprehensive plan to make it an integral part of a consumer's life. But before the process begins, a market survey is conducted to assess the consumer sentiments. A Brand Manager is not responsible for sales, but for attracting the customer to opt for the product. A brand manager should be able to know how to deal with various kinds of brands in the market, i.e. premium brand, economy brand, fighting brand, corporate brand, family brand, individual brand, brand extension, private branding etc. As a brand manager one will have a budget from which, they will decide how much to spend on packaging, advertising, market research, promotions, etc. They assess the strengths and weaknesses of their brand and see how their brand compares and differs with their competitors. Brand managers can recommend changes in areas such as product design and quality to enhance the brand value. Job opportunities are available for brand management professionals in reputed industries such as Pharmaceuticals, mobile telephone companies, advertising agencies, television channels, newspaper organizations, travel, leisure or entertainment, leading manufacturers of food, soft drink, clothes, soaps, cosmetics and electrical products etc. The companies involved in providing financial services such as banks, insurance companies also employ experienced brand managers. Candidates with marketing and commercial experience can work for in-house marketing departments such as public sector bodies, charities and for management consultancies, business-to-business service providers such as IT, training and recruitment firms, commercial marketing departments, advertising and specialist brand consultancies. Even though self-employment opportunities are limited in this field, experienced personals can set up their own consultancies or specialist agency. Most of them start their career as a part of the sales team or marketing team of a company. Some companies appoint these professionals as marketing analyst or sales representative or junior/assistant brand managers under the supervision of senior managers. After gaining 2-3 years of experience, competent candidates are promoted to assistant brand manager/ product manager and finally to brand manager/ senior brand manager/ or Brand Development Manager and Marketing Director. The responsibilities of these professionals varies according to their roles. Assistant Brand Manager: Assistant Brand Managers start their career with a small brand or company. They coordinate the various marketing functions such as packaging advertising, promotions, and public relations to execute the marketing plan. Brand Manager: Brand managers manage assistant brand managers, marketing analyst and the team working on a major brand or large business or a group of smaller brands. Marketing Director: Marketing Director is the position beyond brand manager, who oversee the major portfolio of brands. They guide overall strategy by coordinating the efforts of brand managers and assistant brand managers. Renowned Indian industries such as Hindustan Lever, Mahindra and Mahindra, Godrej India, Sun Pharma, Alkem Pharma, Aditya Birla Group, Reliance, Wipro Consumer Durables, Dabur, Bajaj, Kotak Mahindra etc and International brands like Sara Lee, Reckitt Benckiser, Unilever, Procter and Gamble, General Mills, Mars, Nestle, Novartis, Pfizer, Cipla, Ranbaxy, GSK, Vodafone, Pepsi, Cocoa Cola, Aviva Life Insurance, etc. recruit brand management graduates. Health Care and pharmaceutical industries abroad have lucrative offers for brand management personnel. The salary package of Brand managers vary according to the qualification, experience and organization. In the beginning a junior or assistant brand manager can earn between Rs 12,000 and Rs 18,000 per month. A senior brand manager with years of experience can get around Rs. 30,000 to Rs. 40,000 per month. Based on their performance, some companies provide incentives and annual bonus to Brand managers.